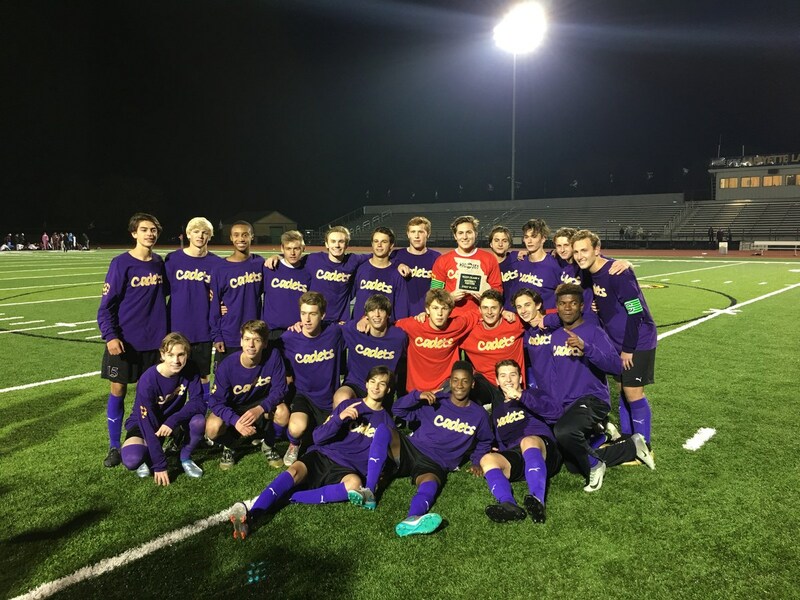 Congratulations to Coach Terry Michler and the CBC Soccer team on winning the District Championship in a thrilling victory over DeSmet! 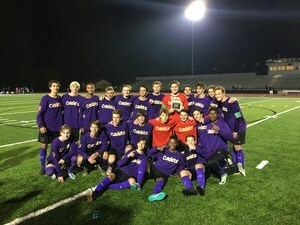 The Cadets were led by the goalkeepeing of senior Cam Meyer who pitched a shutout through 110 minutes of regulation and overtime play. 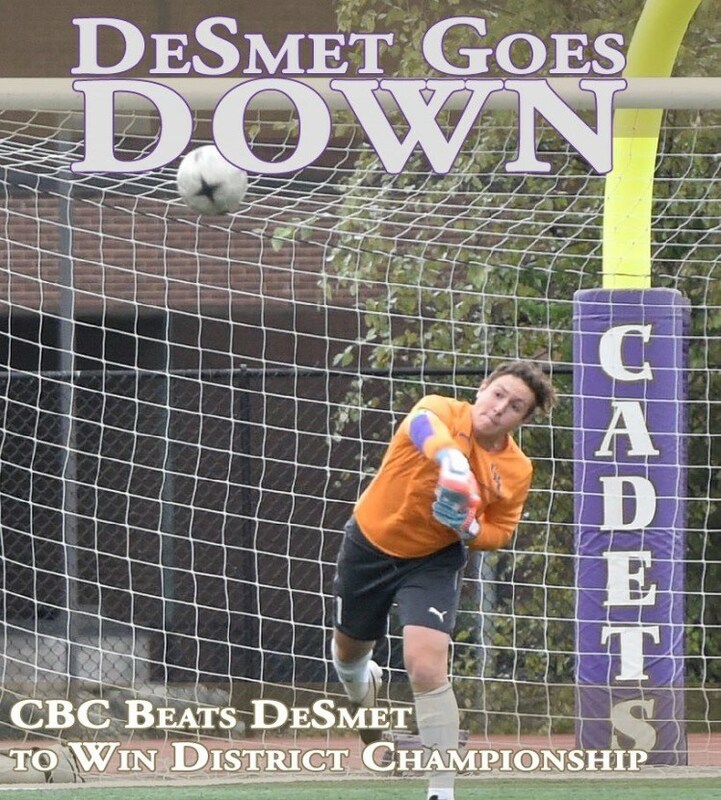 Junior Nick Dempster blasted the final shootout attempt of the night past the Spartan goalie and into the back of the net for the win. 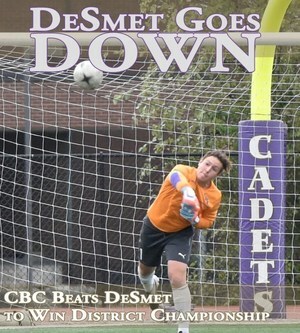 Re-live the excitement of the post game celebration thanks to the Cadet Student Network! CBC moves on to face Pattonville on Tuesday night at Pattonville High School.